If you are registering for the first time, you will be able to select the workshops during this process. Since 2006, IMOS has been routinely operating a wide range of observing equipment throughout Australia’s coastal and open oceans, making all of its data accessible to the marine and climate science community, other stakeholders and users, and international collaborators. This workshop is to assist the scientific community to discover, access, download, use and understand the potential of the data. Objectives: Enable researchers to easily discover, access, download and use IMOS data. The AusSeabed program is a national collaborative initiative operated by Commonwealth, State and Territory entities, universities and industry. The program aims to improve the awareness, coverage, quality, discoverability and accessibility of seabed mapping data through coordination and collaboration in the Australian region. In the spirit of “collect once, use many times”, AusSeabed provides an open collaboration space where data creators and users can better connect to develop initiatives and products that will improve the quality, discoverability and accessibility of seabed mapping data. Since 2016, AusSeabed has produced the Australian Multibeam Guidelines, a website and data discovery portal, an upcoming survey register system, a national government bathymetry priorities map, and a plan to guide the contributions of the Australian seafloor mapping community to international initiatives. This workshop will include the AusSeabed AGM and a workshop session to finalise the AusSeabed Strategic Plan, including the program theme roadmaps. We will also discuss and finalise the user requirements and considerations for the Data Hub and continue discussions on how Australia might best contribute to international initiatives such as Seabed 2030 and mobilise bathymetry data from the Australian region. We encourage all users and collectors of seabed mapping data to attend and join our community. We will announce and distribute the workshop agenda closer to the event and have made previous workshop minutes available here. The Geological Society of Australia Inc. (GSA) and partners invite abstracts for oral and/or poster presentations for the Pilbara Coastal and Marine Science Symposium (PCMSS) on Friday 12 July 2019 at the Western Australian Maritime Museum in Fremantle. 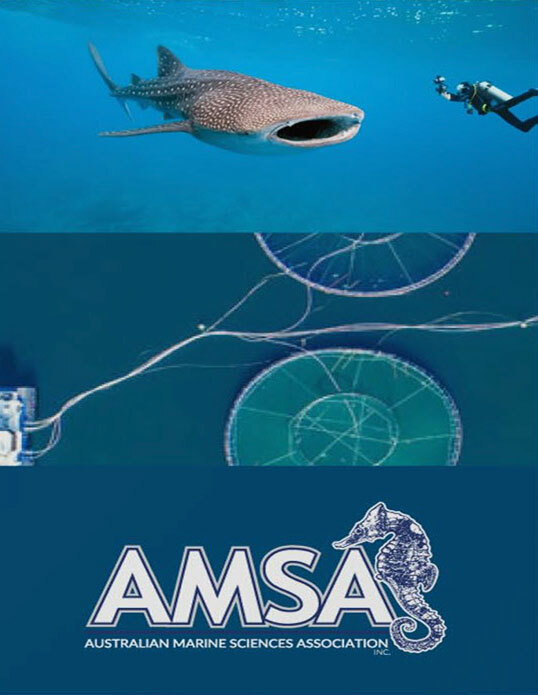 This Symposium is linked to the Australian Marine Science Association Conference (AMSA 2019) Fremantle 7th- 11th July “Marine Science for a Blue Economy”. In this context, the PCMSS provides a region-specific exposé of this theme. The scope of the Symposium will be the natural region of the Pilbara Coast – shown in the upper right illustration, extending from Giralia Bay in south-eastern Exmouth Gulf, through the Dampier Archipelago, to as far north as Pardoo Creek, the eastern distributary of the De Grey River delta, and includes the corridor of near-coastal islands such as the Mangrove Islands, Weld Is., Regnard Is., Dixon Is., and Depuch Is. Themes of the Symposium will include (1) coastal geology and nearshore, geomorphology, and physical features of the Pilbara Coast, (2) coastal, nearshore, and hinterland ecology (including coastal habitats, mangroves, rocky shore, saltmarsh, seagrass, coral reefs, fish, amongst others), (3) link between geodiversity and biodiversity along the Pilbara Coast, (4) Indigenous, archaeological, and rock art aspects, (5) European colonisation and industry, and (6) conservation and management. Objectives: The aim of the Symposium is to bring together up-to-the-present and state-of-the-art science of universities, government agencies, researchers, and industry in a symposium to share information and exchange ideas towards the understanding and better management of the Pilbara Coast. The objective also is to produce a quality refereed publication. For more information and important dates, click here. Every year in June, the AMSA WA branch holds the Annual Rottnest Student Workshop. Typically, student members would go to Rottnest Island for two days where they give a presentation on their research in an informal, stress free setting (no supervisors etc.) and then hear from invited speakers on career pathways. For 2019, the AMSA WA branch have decided to hold the workshop in conjunction with the national AMSA conference. The workshop will be held at a venue close to Fremantle, will be opened up to all AMSA student members and non-members, and will have a change in presentation style (shortened snapchats) to accommodate a larger group. The purpose of holding the student workshop every year is to give students a chance to practice presenting ahead of the AMSA conference and to become more comfortable in doing so. This is still the intent of the 2019 workshop but with an added bonus of students being able to meet and greet other students from around Australia and form a network ready to head into the conference with. Objectives: To provide an informal environment for students to practice their talks in preparation for the conference. Dolphin populations inhabiting urban areas are impacted by various anthropogenic factors. Coastal development, habitat loss, prey depletion, fisheries interaction, disturbance acoustic and vessel traffic, vessel collisions, harassment through tourism, as well as illegal feeding are among many other factors that have had effects on dolphin populations. Although impacts to individuals can readily be observed (e.g., fishing line entanglement, boat strike), how these affect a population is less apparent and can include lower reproduction rates, higher mortality from indirect causes (e.g. stress related immune suppression) and avoidance all of which may lead to a declining population. The workshop will be organised into two sections. First, we would like to discuss how researchers, policy makers and managers work (or do not work) together to achieve the objective of ensuring protection of the population using three locations where the demographic parameters for dolphin populations are reasonably well understood. Secondly, we would want to have small group discussions to facilitate effective brainstorming of solutions for improving the effectiveness of conservation of dolphin populations as well as other marine megafauna. Objectives: With the help of a facilitator, we aim to bring together researchers, managers, NGOs and policy makers to discuss conservation issues that are recognised for marine mammal populations inhabiting urban areas; what solutions have been implemented so far and the results if any; and what else can be done to minimise those issues. A report will be written to summarise the outcome of the discussions and to provide a set of resolutions designed to specify some short- and long-term goals to help researchers, stakeholders, managers and policy makers with management strategies and decision-making. Coastal ocean observations, as fundamental and exciting as they are, can also be quite the daunting task. As an instrumentation provider, RBR has recognized that those who take the time to become familiar with, care for, and understand the limitations and strengths of their equipment often have the greatest successes in the field. This workshop is a forum to spark interest in understanding oceanographic sensor measurement methods, improving the quality of field data, increasing deployment success rates, and improving the safety of those conducting the observations. We will focus on best practices, practical maintenance, deployment considerations, and a few tips and tricks to help get the most from your ocean observing equipment. The material covered is applicable to a wide variety of common instrumentation. Description: While seldom a core consideration, all scientific investigations require some degree of administrative organisation. At the simplest level this is to ensure scientific outputs, reports or publications, are met in timeframes that are agreed and within expected budgets. However, as accountability and the complexity of programs increase, systematic approaches are required to ensure all aspects of a scientific investigation can remain on track, which in turn is important to attract new projects, maintain sufficient flow of funds to keep first-rate scientists, and to obtain and maintain the required facilities and equipment that underpin the science. If applied correctly, effective project management offers skills, tools and techniques to meet the full range of project requirements – not just the scientific outputs. Moreover, it also allows managing project teams, including people who don’t usually work together; sometimes from different organisations and across multiple geographies. Effective project management also enables project risks to be identified and managed. Risk is the possibility that you may not achieve your scientific output, schedule, or budget targets because something unexpected occurs or something planned doesn’t occur. This workshop covers project management foundations to ensure scientists are left with a basic understanding of the principles of effective project management, as well as providing useful tools for everyday application to project managing scientific research. This workshop would also suit researchers who are transitioning between academia and industry. The accumulation of plastics in the marine environment is a growing public concern. It is estimated that of all the commercial plastics manufactured, 79% is either disposed of in landfill or enters the environment. Currently, ~15 million metric tons of plastic are predicted to be entering the global ocean and is expected to double by 2025. However, the impact of plastic pollution in the ocean is still poorly understood, as are solutions to our current economic dependence on plastic materials. 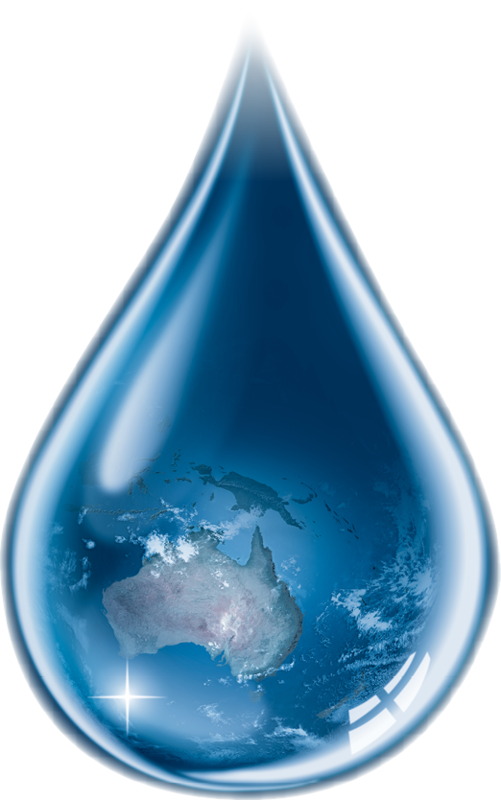 It is generally accepted that in Australia, the inputs of plastics into the ocean are low in comparison to that in the region. The oceans around the Australian continent are dominated by boundary currents that are strongly connected to the Pacific Ocean through the Indonesian Archipelago. Recent studies have indicated the main sources of plastic may originate from Indonesia and accumulated along particular coastal regions due to local oceanographic and atmospheric conditions. Ocean plastic research can be divided into different components that include sources, transport, sinks, impacts and mitigation. What are the major sources that contribute plastics ? What are the main pathways of plastic transport ? What are the major sinks/accumulation of marine plastics ? What are the major impacts of marine plastics ? What mitigations actions can we undertake ? What do you think should be included in Australia’s priorities for marine biodiversity research in the next decade? In 2014, the Australian marine science community came together to identify marine research priorities for Australia which were summarised in the National Marine Science Plan. Five years later it is time to review the issues and priorities identified for marine biodiversity and provide an update that can be referred to when designing and prioritising future research. This workshop provides an opportunity for the scientific community to contribute to this update, including the identification of new priorities. Summary conclusions from the 2014 white papers will be presented as a starting point for the update, and workshop participants will be invited through a facilitated process to contribute to the updated white paper that will be presented at the National Marine Science Committee and made available through the NESP Marine Biodiversity Hub website. Objectives: Provide researchers the opportunity to contribute to identifying marine biodiversity research priorities for the next decade. Requirements (i.e. software, laptop): Original white papers will be made available for reading before the workshop. At least 20 participants are required to register for this workshop to proceed.